Ready for the holiday weekend?! Some of us are definitely looking forward to all the barbecues and grill-outs this weekend, but we bet there’s quite a few folks who are honestly just looking forward to taking it easy, sleeping in, and having a very lazy breakfast or brunch at home in pajamas. (We know we are!) 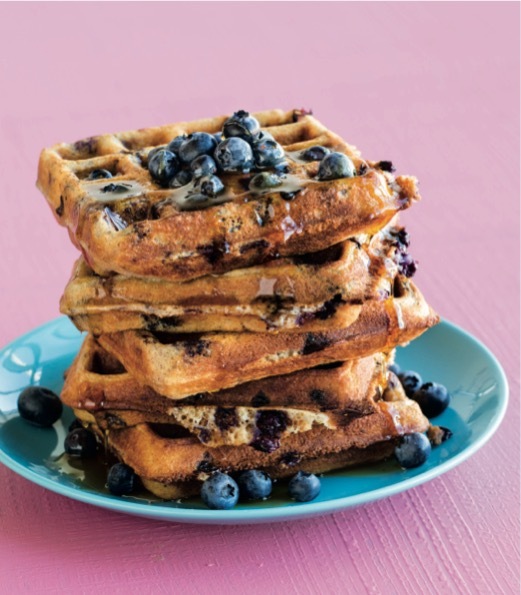 So once we wake up this weekend, we’ll be switching on our waffle makers and whipping up some delicious Whole Wheat Blueberry Waffles from American Girl Breakfast and Brunch! These delicious, good-for-you waffles are tie-dyed with swirls of dark blue. The berries tend to burn easily, so use the medium-low heat setting on the waffle maker, and carefully wipe the grid with paper towels between batches to remove any residue. Check out the recipe below! Preheat a waffle maker on the medium-low setting. In a medium bowl, whisk together the eggs, milk, and oil. In a large bowl, whisk together the all-purpose our, whole-wheat our, brown sugar, baking powder, cinnamon, and salt. Make a well in the center of the dry ingredients, pour in the milk mixture, and whisk gently just until combined but with a few lumps. Using a rubber spatula, gently fold in the blueberries. When the waffle maker is ready, spoon batter over the cooking grid; spread the batter so that it almost reaches the edges of the grid. Close the lid and cook until the steam subsides or the indicator light signals that the waffle is ready, 3 to 4 minutes. Carefully open the lid and transfer the waffle to a serving plate; serve right away with maple syrup. Carefully wipe the waffle maker grid with paper towels and cook the remaining batter in the same way, serving each waffle as it’s ready. 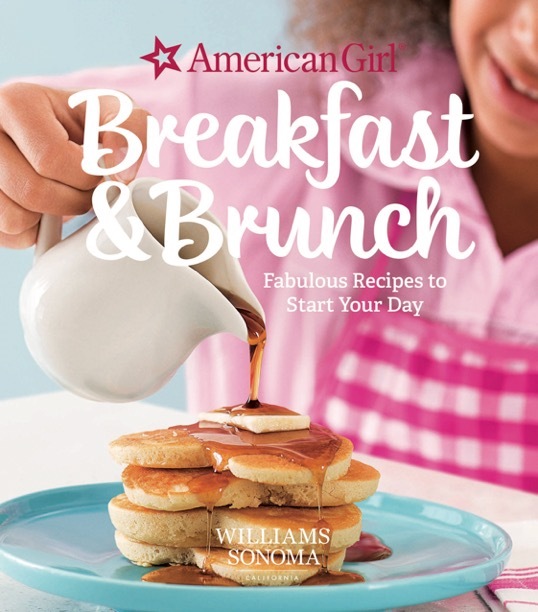 For more delicious and kid-friendly breakfast recipes, check out American Girl Breakfast and Brunch on Amazon!